August Lutz spent several days in Oshkosh last week visiting his old friend Lawrence Kenstzl, who for two years was employed in Andrew Lutz's brewery in this city as head brewer. Mr. Kenstzl now has a brewery of his own in Oshkosh and is doing well. The butchered spelling of Kuenzl's name is creative. No wonder I couldn’t find this. Here’s a picture of the Lutz Brewery as it looked when Lorenz Kuenzl was its brewmaster. By the way, the old Lutz Brewery is now the Stevens Point Brewery. After finding the 1884 article, I did a little more digging. Turns out Kuenzl’s wife, Barbara, was related to the Lutz family. Here’s a picture of Lorenz and Barbara Kuenzl with their children. This would have been taken in Oshkosh in the early 1880s. 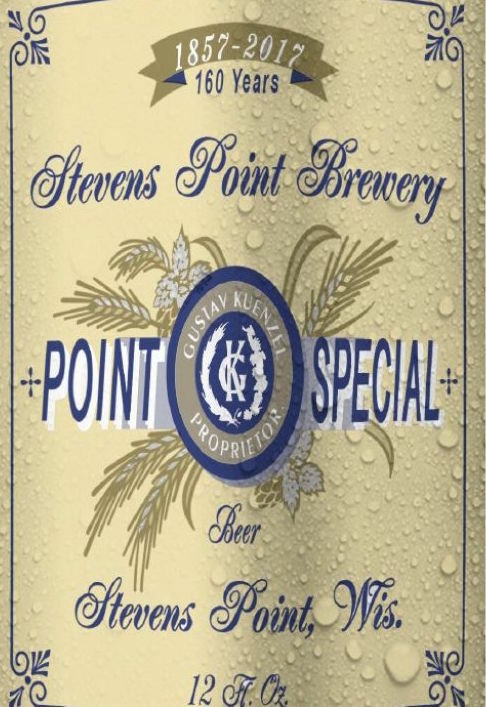 The Lorenz Kuenzl link to Stevens Point adds a second, direct connection between the Stevens Point Brewery and brewing in Oshkosh. 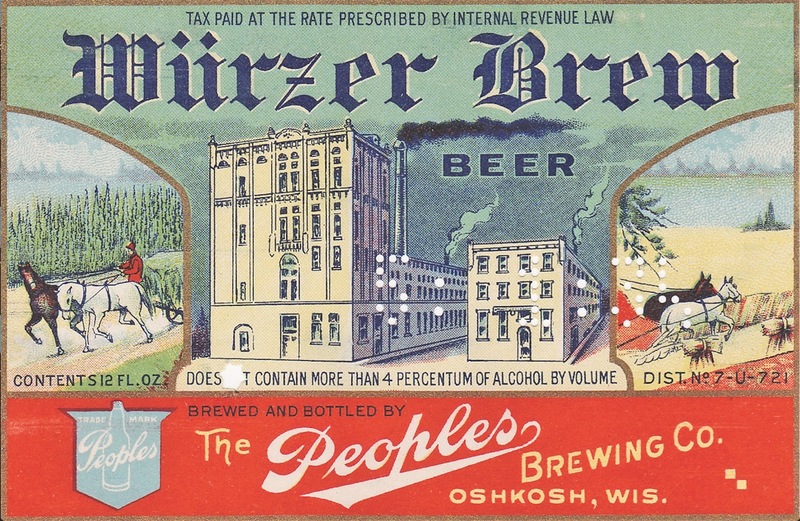 The other, as I wrote here in June, is that the Point Brewery was launched by Franz Wahle, who later moved to Oshkosh and established what became the Glatz Brewery. Here’s something else. In 2011, I was on a mission. I asked the same question to dozens of Oshkosh natives old enough to have drunk Chief Oshkosh or Peoples Beer. I’d ask if there was a current beer that reminded them of either of those Oshkosh beers. I got all kinds of answers. Only one response occurred with consistency. Point Special Lager reminded people of Chief Oshkosh. Let’s follow that thread back. 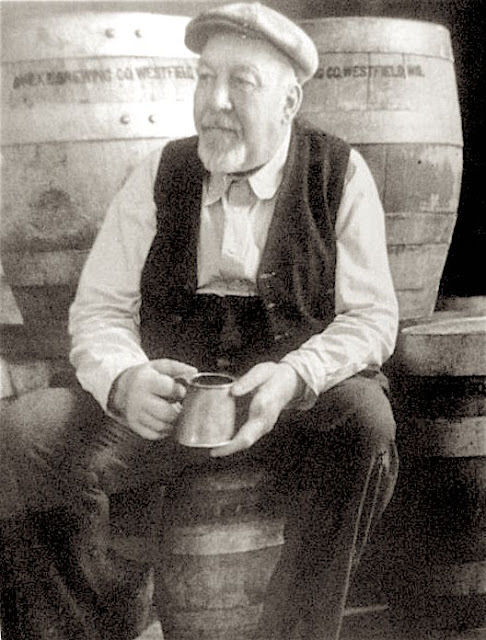 During the early 1870s, Lorenz Kuenzl was the brewmaster for what became the Stevens Point Brewery. Kuenzl moved to Oshkosh in late 1874. He launched the Gambrinus Brewery here in 1875. 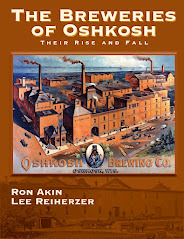 Kuenzl’s brewery merged with two others in Oshkosh to form the Oshkosh Brewing Company. Kuenzl became OBC’s first brewmaster. 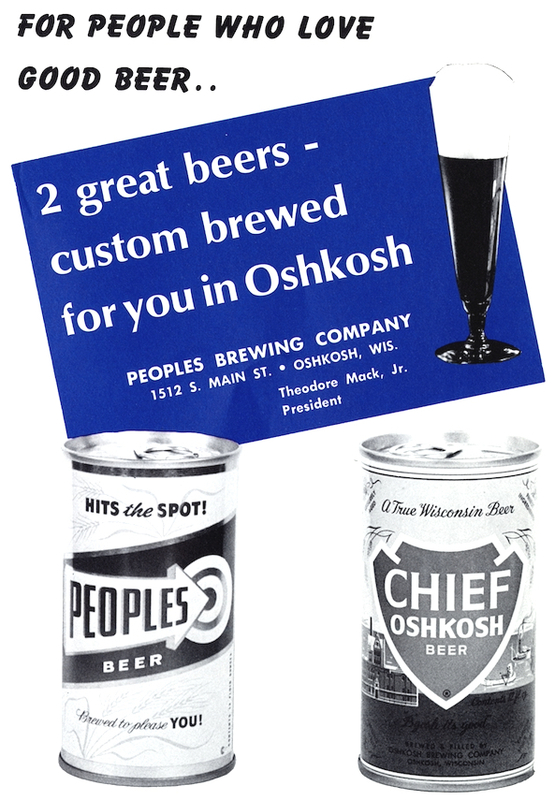 OBC was the maker of Chief Oshkosh Beer. Kuenzl was dead by the time Chief Oshkosh came out. I can’t help wondering, though, if his influence was still there when Chief was being brewed. He had, after all, laid the groundwork for the brewery’s beers. 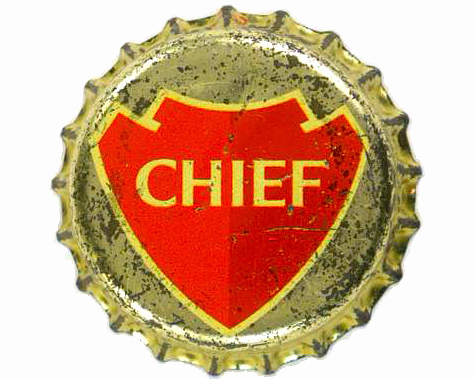 Is this the original source of the flavor similarity between Chief Oshkosh and Points Special Lager? Rampant speculation, I know. But for me that’s part of the fun of this stuff. Should you feel moved in the near future to pick up a pack of Point Special Lager, you’ll find it in commemorative packaging. Point is celebrating its 160th anniversary this year. The current Special Lager can is wrapped in artwork used in the early 1900s. That’s when Gustav Kuenzel was running Point Brewery. His name is on the commemorative can. In addition to their similarly spelled last names, Lorenz Kuenzl and Gustav Kuenzel were both born in Bohemia. Lorenz in 1845. Gustave in 1869. Both also trained as brewers in Bohemia. I’ll bet if you traced their bloodlines back far enough you’d find they merge at some point. Somebody else will have to figure that one out. Lorenz Kuenzl came to America in 1871. He was in Stevens Point soon after. He moved to Oshkosh in late 1874 and never left. Lorenz Kuenzl died here in 1897. Gustav Kuenzel took a more circuitous path. He came to America in 1890. He went to Milwaukee, working in breweries there before moving on to Stevens Point. He bought the Point brewery from Andrew Lutz on July 8, 1897. 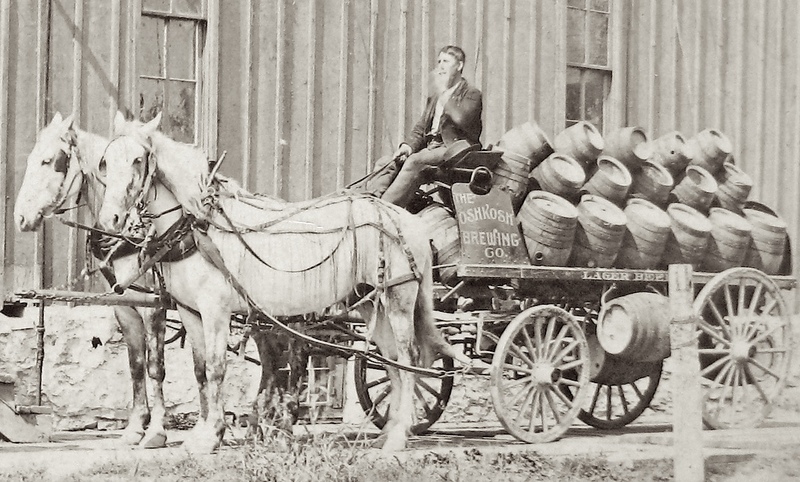 In 1902, Gustav sold the Point Brewery and bought a brewery in Hastings, Minnesota. He was there until Prohibition. Then he moved to Canada where he could continue making beer. When Prohibition ended, Gustav came back to the states. He ended his career at the Dahlke Brewing Company in Westfield, Wisconsin. He died in 1937. Now that is a life! Here’s a wonderful picture of Gustav Kuenzel at the Dahlke brewery. You have to love a brewer who drinks from a brass mug. You may notice he’s missing the index finger on his left hand. He lost it in a brewing accident. The Stevens Point Brewery survived. The Oshkosh breweries didn’t. The Point Brewery never lost its focus on its local market. The last of the Oshkosh breweries – OBC and Peoples – turned from their home market as they strove to increase distribution regionally. It didn't work. In the end, that’s what killed them. At the end of June, the Brewers Association (BA) introduced the Independent Craft Brewer Seal. The BA's objective is to offer a quick, visual indicator that differentiates independent brewers from international conglomerates such as Anheuser-Busch InBev, Heineken, and MillerCoors. Independent brewers who adopt the logo can apply it to just about anything: bottles, cans, tap handles, websites... We should see it beginning to appear around here later this summer. If you care about such things, the information is welcome. Non-independents have grown especially crafty in shielding their identity. Look at any label, tap handle, or ad from Goose Island, Golden Road, 10 Barrel, or Elysian and you'll find no indication that they're, in fact, products of Anheuser-Busch InBev. They'd prefer you didn't know. Both Oshkosh breweries have signed on to use the seal. At Fox River Brewing Co., they've begun work to put it in place. 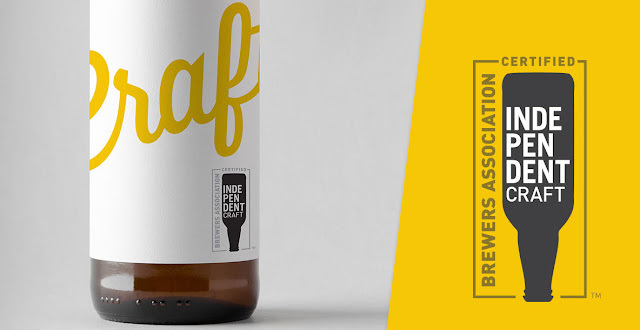 "We are starting to implement the new Independent Seal on all new beer related material and any updated pieces," says Jay Supple, of Fox River. "We like the new logo, it’s a great representation for independent brewers, plus lets our customers know we are an independent craft brewer." Bare Bones Brewery owner Dan Dringolli shares that viewpoint. "We're really good with the emblem," Dringolli says. "We're going to use it. Hopefully, a lot of people will. I think it's good to have some way to separate truly independent breweries from those that pretend to be. It's another way to help educate people about what's going on." For small breweries such as Bare Bones and Fox River, it may be a while before the logo appears on their bottle labels. Label stock for core brands is typically bought well in advance of production. Running through the labels they have on hand may take months. Lion's Tail Brewing of Neenah doesn't plan to use the logo. "I don't see a lot of value in this thing," says Alex Wenzel of Lion's Tail. "I don't think it tells my customer anything that they didn't already know." He has a point. 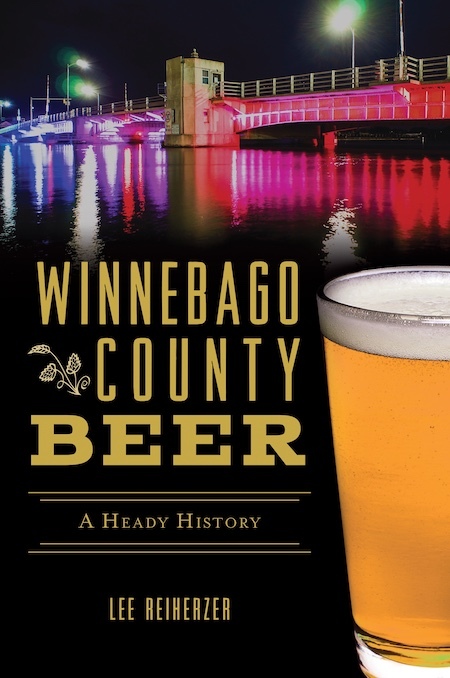 Local drinkers of craft beer are already aware that Winnebago County's breweries are independent. Those who don't know that probably don't care. For larger independents such as New Glarus, the distinction would likely hold more value. There are a couple of potential pitfalls to this thing. Use of the label is free, but as Wenzel pointed out, the BA is leaving the door open to adding a fee for its use in the future. That would be a mistake and stifle its use. The last thing a small brewer needs is another fee attached to its operation. An unintended outcome might be the sort of "badge wars" you see among food products claiming to be organic or cruelty-free. There would be nothing stopping AB InBev from creating its own badge to muddle the issue. AB InBev appears intent on creating just this sort of confusion. And that's reason enough for independent breweries to stake out a position. If ownership weren't important, you'd see the AB InBev, Heineken, MillerCoors and the other conglomerates putting their names on the beers they produce. That they don't, speaks volumes about their intent. They like to keep you in the dark. Now for a dash of local color. Our tale is ripped from the pages of the Oshkosh Daily Northwestern of Wednesday, January 16, 1878. A police court drama was enacted in Justice Sarau's office yesterday. C. F. Rogers, a farmer, took a load of barley to Horn's brewery to sell, and got into an altercation with Horn's foreman, a stout, 300-pound German named Krall, who pounced upon Mr. Rogers and pounded him somewhat. Rogers had Krall arrested, and the latter was fined $2 and costs. Krall was inconsolable and immediately had Rogers arrested for calling him names. Rogers in turn was fined $2 and costs, which made the 300-pounder happy, and thus the matter ended. Sparring outside of the Horn & Schwalm Brewery, 1885. Things are coming along quickly for Fifth Ward Brewing Company of Oshkosh. Yesterday, the soon-to-be brewery received its Federal Brewer’s Permit. Look for Fifth Ward to open in late October / early November. The inserted symbolism wasn’t meant to be cryptic. This new cap was about expediency. It was used on four different brands produced by the Oshkosh Brewing Company. We’ll get to that in a moment. First, some necessary background. In 1966, the Oshkosh Brewing Company (OBC) went on a buying spree. It scooped up three defunct brands: Badger Brew of Baraboo, Liebrau of Two Rivers, and Rahr’s of Green Bay. Notice how the cap above is a blend of the labels below. By late 1966, those left-for-dead brews had been revived. They were being produced by OBC in Oshkosh. To make things easier, OBC changed its bottle cap. The same cap could be used for each beer. What distinguished the beers were their unique labels. Makes sense. Afterall, they were different beers, right? Well, maybe not. I’ve been going through old brewing logs from OBC. Specifically, the years 1967 and 1968 when these brands were in production in Oshkosh. Looking at the logs, you’d never guess OBC was producing a number of different beers. The logs show no variation. Aside from OBC’s seasonal beers – Bock and Holiday Brew – the composition of each beer is identical. The same malts and adjuncts. The same hops. The same yeast. The same ratios. Here’s an example (click to enlarge it). That’s the brewer's log from February 1967. This was when OBC was filling orders for the brands it had recently acquired. Yet, aside from the four bock beers brewed that month, the 12 other batches are indistinguishable. This log is typical. All of them from the period are like this. It leads me to suspect OBC was brewing one beer and putting four different labels on it. I can’t say for certain OBC was playing this kind of game. But I also can’t find a shred of evidence from the brewing logs suggesting they weren’t. I suspect this sort of thing may have been occurring at a lot of breweries in the late 1960s. The industry was contracting rapidly. The brands of belly-up breweries were being scavenged. 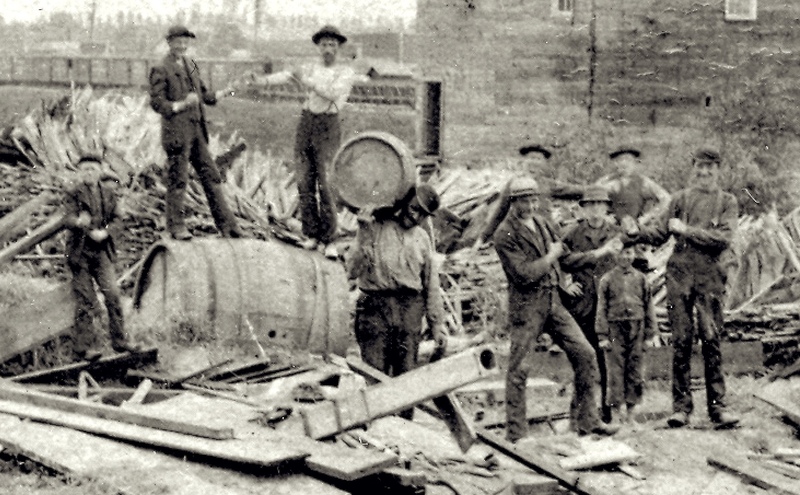 The G. Heileman Brewery in La Crosse became notorious for collecting labels from the wreckage. Heileman produced beer under a dozen different labels during this time. Almost all were pale lager. There was piddling difference among them. How many would notice if there were no difference at all? In 1971, the Oshkosh Brewing Company failed. 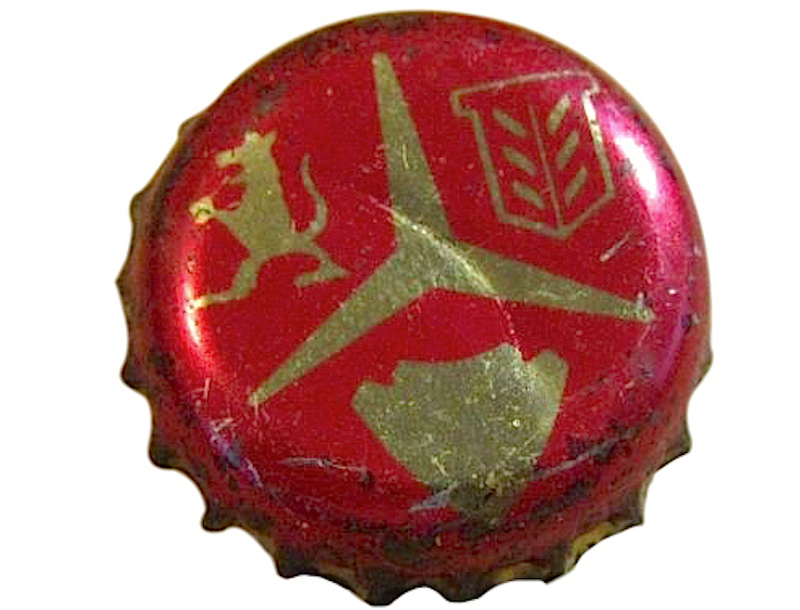 Its brands were acquired by the neighboring Peoples Brewing Company. Peoples brewmaster Howard Ruff told the Daily Northwestern he would match as closely as he could the beers produced by OBC. Had Ruff seen those brewer’s logs when he said that? His job may have turned out to be easier than he first expected. Monday morning Leoš Frank drove his small van across Wisconsin. It was loaded with beer he made. Frank is the brewmaster and co-owner, with his wife Theresa, of Lazy Monk Brewing in Eau Claire. He reached Oshkosh a little after 10 a.m. His first stop was Gardina's. He immediately began unloading cases and kegs of beer from his van. It's becoming more common for small, Wisconsin breweries to deliver their own beer. It was once the rule here. That ended with Prohibition. When Prohibition was repealed in 1933, new restrictions were put in place. 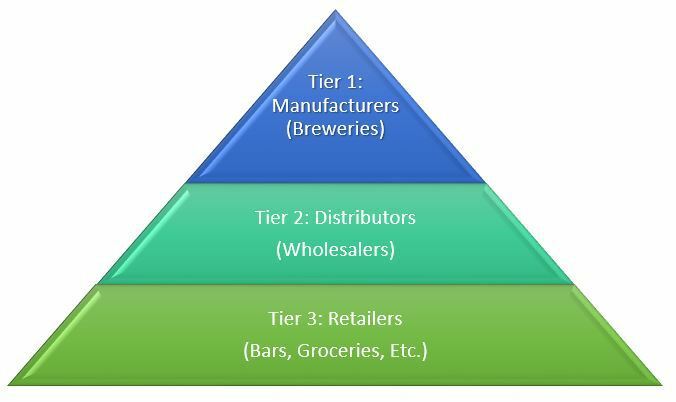 At their core was the three-tier system; a web of regulation intended to create a barrier between breweries and retail outlets. More than 80 years after its implementation, the three-tier system remains. One outcome has been to stifle the direct contact small brewers once had with their customers. Leoš Frank doesn’t subscribe to that. In Wisconsin, breweries producing less than 300,000 barrels of beer annually can circumvent the second tier. Frank, who brewed 648 barrels last year, has taken the alternate route. He distributes his own beer. Hence his Monday morning trip across the state. 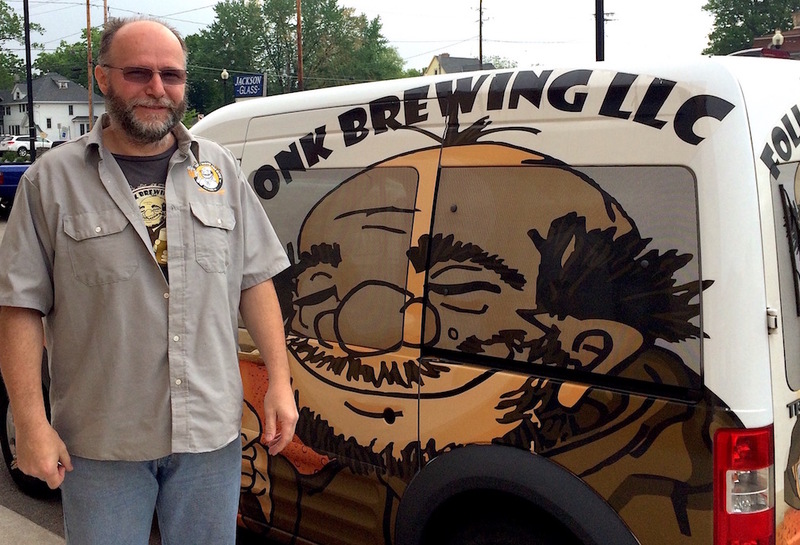 Frank, who launched Lazy Monk in 2011, has been delivering his beer to Oshkosh for almost two years. His first outlet here was Gardina’s. He’s since expanded to include The Ruby Owl, Oblio’s, and the Lion’s Tail Brewery Tap Room in Neenah. He also takes his beer to La Crosse, Madison, Milwaukee, and Waukesha. Still, the majority of his sales come from his brewery's tap room in Eau Claire. Others have come to see it that way, too. Currently, four breweries self-distribute in Oshkosh. Black Husky Brewing of Milwaukee has been at it the longest. In the past year, Lion’s Tail Brewing of Neenah and Knuth Brewing of Ripon have also brought their beer to the Oshkosh market. Of course, money plays a significant role in the decision to self-distribute. Distributors typically take a 25-30% cut on the gross margin. That money stays with a brewery that self-distributes. But that comes at a price. A significant downside is access to market. Getting beer into larger outlets such as chain grocery stores and gas stations can be next to impossible for a brewery that goes it alone. Frank has had better luck than most. He’s been able to get his beer in Walgreens and Target stores in Eau Claire. But on his terms. “This way I can control the growth,” he says. For a small brewer that element of control can be critical. Especially when distributors have been quick to fill their portfolios with beers they have little interest in promoting or selling. It’s a way to reduce competition. And a small brewery that finds itself buried at the back of a distributors book has little hope of extricating itself. The law is stacked heavily in favor of distributors. Wisconsin's beer distributors aren’t taking the self-distribution trend lightly. In June, it was leaked that lobbyists for the Wisconsin Beer Distributors Association are working on legislation aimed at making three-tier regulations more rigid. The plan would make it more difficult for a brewery to sell beer directly to its customers. The proposal has been roundly criticized by brewers. Barring any sudden, reactionary moves by the state legislature, we’ll likely see more breweries going the self-distribution route. Most recently Bare Bones Brewery of Oshkosh began self-distributing its beer in the Green Bay market. And both Fifth Ward Brewing and HighHolder Brewing plan to self-distribute when they open in Oshkosh in the coming year. Unfortunately, none of them will be rolling through the streets of Oshkosh in the thundering style of their predecessors. From cops to crooks, Prohibition was widely ignored in Oshkosh. Breaking the dry law became a habit here. But few were so bold about it as Mary Kollross. She had a brewery and speakeasy on Oregon Street, the Southside’s main artery. The middle building with white siding was once the saloon of Mary Kollross at 1325 Oregon St. There had been a saloon at what is now 1325 Oregon since at least 1880. The first bar there was run by Edward Koplitz, a former brewer for Horn and Schwalm’s Brooklyn Brewery. Koplitz died in 1897. A series of tavern keepers followed in his wake. 1917, when the saloon was owned by Louis Heinzl. When Prohibition arrived in 1920, the saloon morphed into a soda parlor. At least that’s what the license said. In reality it probably operated as a speakeasy. If not, that changed when Mary Kollross entered the picture. Mary Kollross was born in 1889. She was raised on 14th Street, just around the corner from the saloon. The old place always just a glance away. 1903 map showing the Kollross family home in relation to the saloon. Her life was anything but easy. Mary’s parents were disabled and unable work. Mary and her siblings supported the family. After the eighth grade, she left school. Mary took a series of menial jobs. Sometimes she toiled in lumber mills. She never married. She lived in the family home until the family fell apart. Mary’s father died in 1911. Her mother passed in 1924. With that came sweeping change. 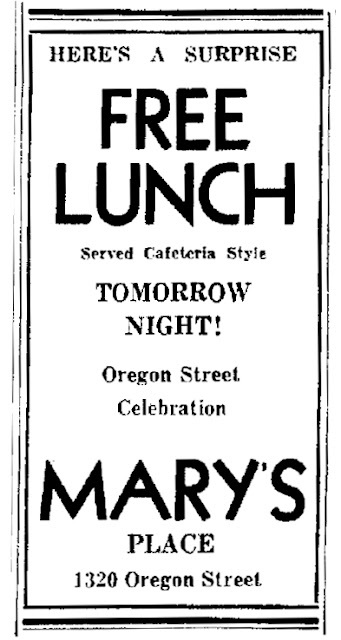 Mary took what money she had and bought the speakeasy on Oregon St.
Mary Kollross was 36 when she purchased the saloon in 1925. She had had never worked in a legal saloon, much less a speakeasy. That didn't mean she wasn’t familiar with Oshkosh’s illegal liquor trade. Mary’s brother Joseph Kollross had run a speakeasy named The Tunnel Cafe on Main St. He’d been arrested there in 1922 for selling moonshine. Another brother, Eddie, also had ties to Oshkosh bootleggers and speakeasies. Mary Kollross knew what she was getting into. When Mary took over the saloon, her brother Joseph came along with her. Early on, the business was under his name. That became a theme during the dry years. Though she was the owner, Mary usually kept a man fronting the operation. Perhaps she thought it necessary for appearance's sake. Or maybe she was attempting to diminish her own risk. There was plenty of risk. In 1928, her saloon was raided by Prohibition agents. Mary’s brother Eddie Kollross took the fall for that one. In 1930, it happened again. This time, Albert Gomoll went down. Hard. 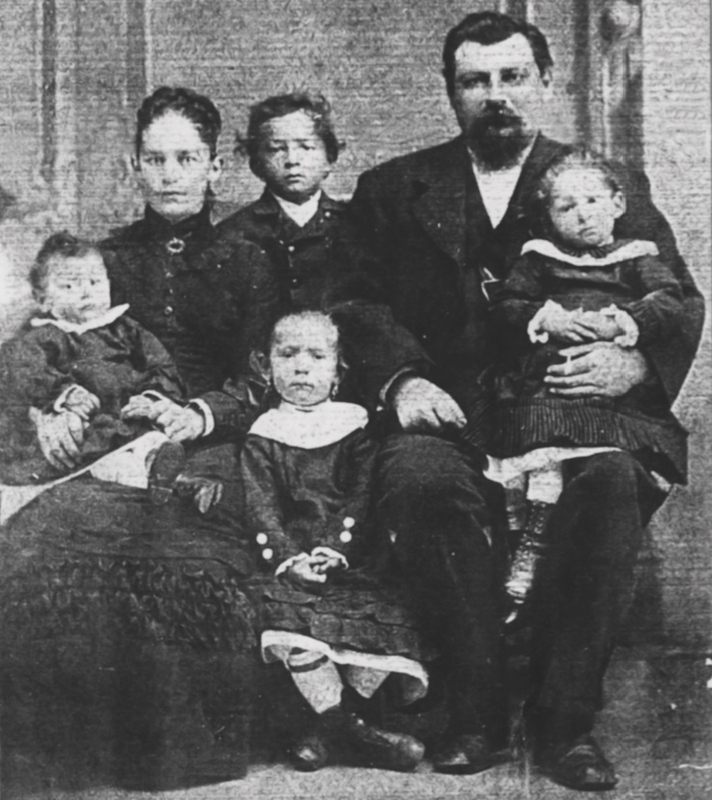 Albert Gomoll lived in Oshkosh all his life. Born in 1876, he was the son of German immigrants. He quit school after the fifth grade. Gomoll went to work in the lumber mills. He was still there in 1930, in the Gould lumberyard. Gomoll was 54 years old when he quit all that. He went to work for Mary Kollross. By the time Gomoll arrived, the Kollross place had developed into something more than a speakeasy. There was now a brewery attached to it. 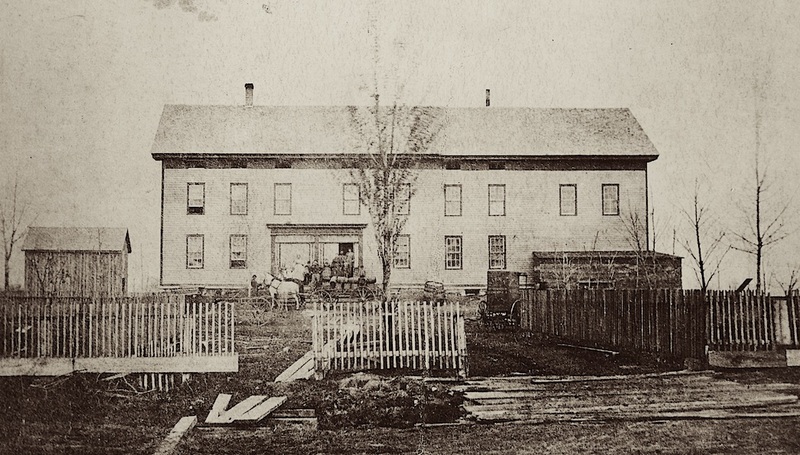 It was an elaborate operation housed in a building – most likely the abandoned ice house – adjacent to the saloon. 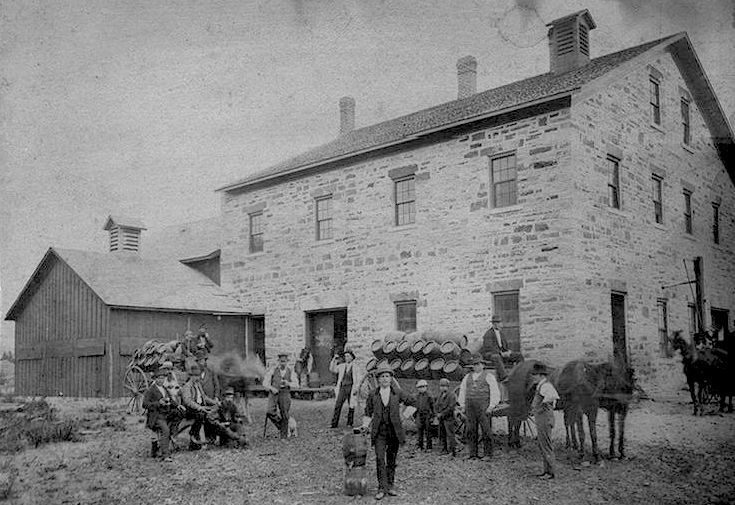 The ice house had been built in the 1880s when Koplitz still ran the place. It was an ideal space for a brewery. 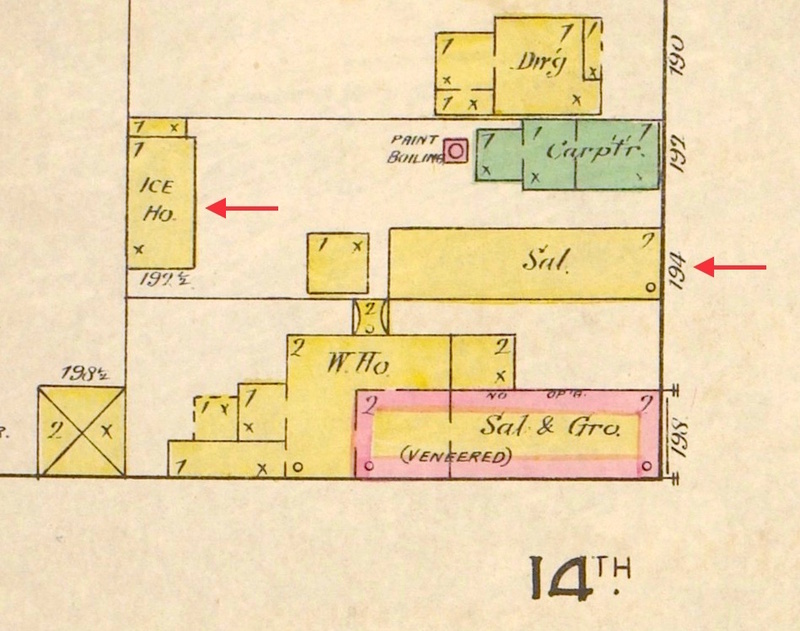 1885 map showing the saloon and ice house. By 1930, the Kollross brewery was among the largest illegal breweries in the area. It was a fully equipped production and packaging facility with a four-head bottling line. In today’s money, the equipment alone would have been worth approximately $100,000. Considering Mary Kollross’ background, it’s difficult to see how she could have arranged such a brewery. The same goes for Albert Gomoll. Nothing in his past suggests he was capable of organizing or operating a brewery of this size. They wouldn't have had to look far for help. There were dozens of ex-brewery workers living on the south side of Oshkosh. They’d been made redundant by Prohibition. Perhaps Mary Kollross tapped into that knowledge pool. In any case, the Kollross brewery was thriving. At least until February 14, 1930. On that Friday night it all came crashing down. Federal agents from Milwaukee had come to town. As usual, the local cops had been kept in the dark. An undercover fed slipped into the Kollross bar. He asked to purchase liquor. Albert Gomoll obliged. With that, the raid was on. The feds seized whiskey, gin and beer. They arrested Gomoll. They headed for the brewery. The Feds crashed through the doors of the brewhouse. Inside they found a large store of beer ready for packaging. In addition to the bottling equipment were scores of empty kegs ready to be filled. Just outside the brewery, they discovered an automobile loaded with packaged beer for delivery. As the agents were busting up the equipment, a phone rang in the brewery. One of the Feds answered it. The voice on the other end wanted two kegs of beer right away. The cop told him to come and get it. Another call came in. And another. Each time the caller was told the beer was ready and waiting for them. “Then the customers arrived in person,” reported the Daily Northwestern. “One after another they opened the door, viewed the havoc wrought by the agents and fled.” None were taken by the trap. In all, some 5,000 gallons of finished beer was drained onto the ground. That’s more than 160 barrels of beer. Today, I doubt there’s a brewery within 30 miles of here with that much beer on hand. The illegal Kollross brewery was pumping out as much beer as any of our current, legal breweries. As usual, all we know of this brewery comes from the event that shut it down. Which doesn't reveal much beyond that moment. The rest of the story is lost. But we know who took the fall. It took almost a year for Albert Gomoll’s case to come to trial. He wound up in federal court in Milwaukee. The judge spared him nothing. Gomoll got six months in the house of correction and a $250 fine (about $4,000 in today’s money). His bootlegging days were over. Mary Kollross kept right on going. Her “soft drink” parlor never lost its license despite its liquor violations. That what it was like in Oshkosh in 1931. Oshkosh Daily Northwestern, July 7, 1931. The old street, 1320 Oregon, is now 1325 Oregon. With Gomoll off in jail, Kollross set up an arrangement with a man named Leander Huse to run the bar. Huse had recently lost his job as a fireman on the Chicago & Northwestern railroad. Like Gomoll, Huse had no prior experience running a tavern of any kind. He soon made a fatal mistake. On February 27, 1932, the 29-year-old Huse was tending the Kollross bar. He was drinking. Huse took a shot of liquor then reached for a bottle of soda to wash it down. He mistakenly grabbed a bottle filled with cleaning fluid. Down the hatch. It took him 12 days to die. That was the end of Mary Kollross keeping a man at the front of the house. Times had changed. Prohibition permanently altered public drinking customs in Oshkosh. The pre-Prohibition saloon had been a man’s domain. Speakeasies were coed affairs. Mary made the most of it. When Prohibition ended in 1933, Mary went legit. 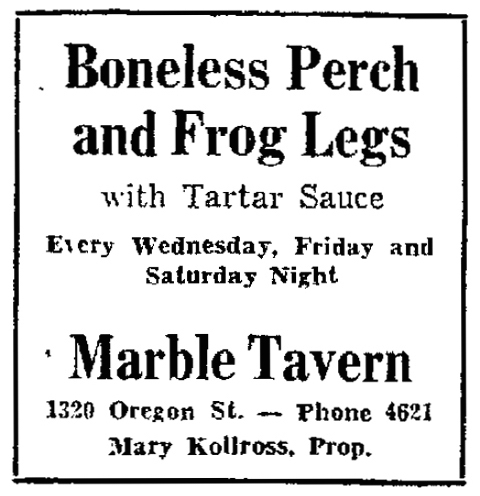 She renamed the bar the Marble Tavern, Mary Kollross proprietor. Oshkosh Daily Northwestern, November 24, 1934. It eventually came to be known simply as Mary’s Tavern. Kollross remained the mainstay behind the bar there until she retired 1957. The tavern continued on until 1964 when Mary Kollross died. She was 74 years old. Kollross still owned the tavern at the time of her death. Four months after she died, the saloon was sold to Herbert L. Pollnow, owner of Acee Ducee, the neighboring tavern. Pollnow leased the building to a hair stylist. For the first time in more than 80 years there wasn’t a saloon at 1325 Oregon. And there hasn’t been one since. Mary Kollross’ speakeasy and brewery were soon forgotten. But the building that was home to the old saloon still stands. 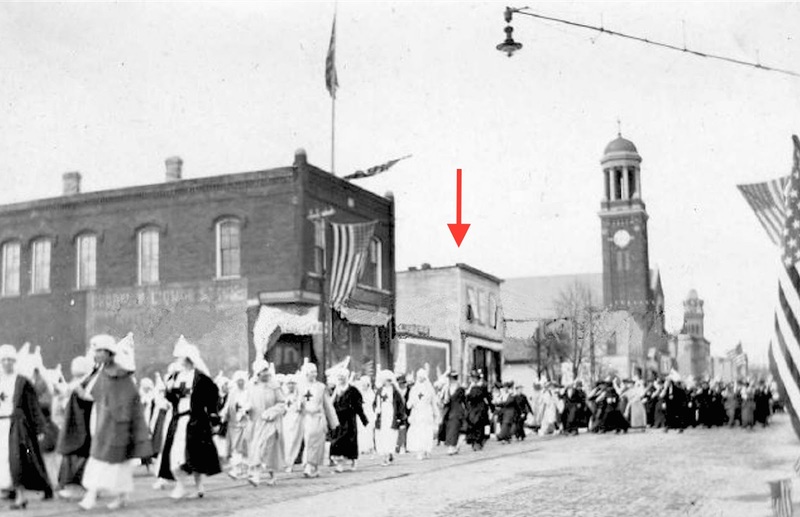 It’s another of those places in Oshkosh with a concealed history. It offers no hint of its torrid past. This week it’s all bikes, beers, and brats for me. I’ll get back to blogging next week with more beery tales of Oshkosh. Until then, here’s how Oshkoshers were celebrating the Fourth of July in 1935. Nothing better than dancing with a giant goblet of beer. Prost!